Sam Milby on pursuing his Hollywood dreams: \"Kahit walang mangyari, this trip doesn&#39;t mean na give up na ako.\"
Sam Milby on pursuing his Hollywood dreams: "Kahit walang mangyari, this trip doesn’t mean na give up na ako." Sam Milby’s leaner frame doesn’t have anything to do with his upcoming trip to the U.S., where he will pursue his dream of becoming a Hollywood actor. "No, I’ve been working out, so yun, pumapayat. Hindi naman... I’m not depressed at all, I’m excited," he said. 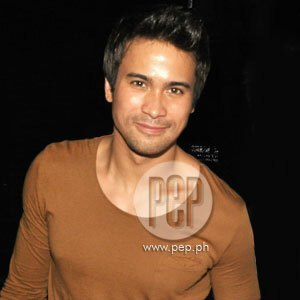 This was how Sam Milby described his feelings about his flight on Wednesday, February 1. He added, "Maraming mami-miss dito... and weird, kasi parang hindi pa rin nag-set-in na aalis ako." But at the same time, "I’m excited," he said in an interview during the intimate send-off party hosted by his Star Magic family last night, January 29. With a smile, he shared what awaits him in Hollywood, "Actually, I have an audition that day after I arrive. "And it’s step two... I have the script already so I have to study that on the plane." The Filipino-American actor, however, clarified that "there’s no project" yet. Some people, he said, had already approached him and remarked, "Sam, Hollywood ka na..."
But he emphasized, "You can’t say Hollywood... It’s not like I have a project. "The shows I’m auditioning are for the major networks, all for new shows. It’s the pilot season. "As in, mga bagong show that the networks are making." It’s a "gamble" for him given his status as one of the most in-demand leading men in ABS-CBN. Since he became a Pinoy Big Brother housemate in 2005, Sam has been part of more than 30 television shows and movies and a number of music albums. When he gets to Los Angeles, what’s the first thing he will do? "I dunno what to expect," he mused. "It’s my first time and I have... one of the hardest part also is to get an agency." Lucky for him, there’s already an agency arranging for his auditions. SUDDENLY, A HOLLYWOOD OPPORTUNITY. The plan, according to Sam, came about a few months ago after a New York-based friend got in touch with him. "Then, he watched the Star Magic tour in L.A., then he watched again in New York, and interviewed some of us. "And then he had me come back to do an audition at the network just to see my acting. Hindi naman para sa isang project. It was just to see my acting. "And they liked it. They liked my audition tape and sent it to L.A."
His other target, aside from going to auditions, is to meet executives from the major networks. Sam continued, "I’m very blessed already na may agency na magaling talaga sila, one of the best in Hollywood, and makilala ko lang mga major networks, that’s a big thing, too. "I don’t know what to expect kasi, you, know, it’s gonna be a whole different world for me. Hindi ako sanay sa mga auditions." But would he rather take the risk than dwell on the "what-ifs" in case he lets go of this opportunity? Besides, "I have a good feeling naman also. You know, I already have a good feedback already, so just hoping for the best..."
IS HE GOING TO MISS SOMEONE? Yesterday, he went to the dressing rooms of his closest friends in ASAP 2012 to say goodbye. It’s a "one-time every week" show, and he didn’t expect to see most of them at the send-off party, "kaya nagpaalam na ako nun." Sam resumed, "They’re like a family, and hindi ko alam ang susunod kung kelan makikita ko sila. I dunno when that will be." He refused to name three people he’s going to miss the most, but he gave special mention of his personal assistant Nene. "Ah, I’ve never really said how much I appreciate ang ginagawa niya para sa akin. "She’s been so, parang, napakahirap talagang hanapin ang mga taong that you can really trust," he said. GOING TO ANNE CURTIS’S CONCERT. Meanwhile, his guesting at ex-girlfriend Anne Curtis’s Annebisyosa concert was intriguingly brought up: "Hindi naman first time," he threw in. He added that he also did the same thing at Toni Gonzaga’s show in Dubai, "It’s nice kasi they were two people that were very... a big part of my life in the Philippines." Going back to Anne, "I wanna be there for [her] kasi yun ang talagang dream niya, maging singer na gumawa ng concert. "And nandun siya para sa first major concert ko sa Aliw [Theater]. "And I wanted to do the same thing for her naman. That’s her... Araneta naman, sold-out, so I wanna be there for that, and I’m glad I was able to make it." Yes, he said hi to the actress’s dad and to Anne’s present boyfriend, Erwan Heussaff. Sam recounted, "I saw Anne’s dad... And when I and Anne were together, we’d always visit her dad and I... I... I haven’t seen them in a long time, so I just wanted to say ’hi’ before I left." Lastly, what preparations did he do or is still going to do for this trip? "I’m gonna get a haircut before I leave... ang haba na talaga," he answered quickly. "But in terms of transformations, hindi naman kailangan talaga. "It depends on the role. I have to get a role and make them decide on what kind of transformation that I am to do for the role. "Pero for now, I’m just gonna be me." And before enjoying his party with fellow Star Magic talents, Sam turned to his fans and said he’s going to back after "three and a half months" or sometime "mid-May." In a resolute tone, he also declared, "Kahit walang mangyari this trip, doesn’t mean na give up na ako."